Flowers are perhaps the most perfect gift, graciously supplied by the earth. The mere sight of one’s favorite flower can soothe frazzled emotions, stoke the fires of new love, and rekindle feelings of hope. Flowers are living works of art that remind us that life is worth living. 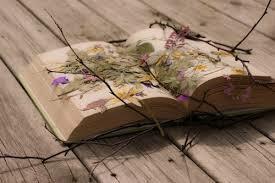 It would serve anyone well to learn more about flowers. Love – There is no better way to express love than with classic, exquisite roses. Though typically associated with romance, roses are not just for lovers. Yellow roses are often exchanged between dear friends. Red roses are the ultimate Valentine’s Day treat. If you’re looking for something out-of-the-box, ask your florist for tie dyed roses. Purity, Beauty, Innocence – Daises are often equated with innocence and youthfulness; they are an ideal gift for a young girl, a high school graduate, or a free spirit of any age. A bouquet of daisies can minister feelings of carefreeness and youthful exuberance. Style, Class – Lilies, particularly Casablanca lilies, communicate that you see your loved one as beautiful, stylish, and one-of-a-kind. Its amazing fragrance makes this type of flower even more perfect. Luxury, Strength, Beauty – Orchids are the best flower to give to someone you deeply value. Most people liken orchids to costliness and rarity. Katie Pavid of the Bristol Post explains, “During the Victorian era, orchid symbolism shifted to luxury, and today this sense of magnificence and artful splendor continues, with orchids representing rare and delicate beauty.” A gift of orchids will be long remembered. Fascination – You might not know it, but carnations can effectively express fascination, making them a great gift to be sent by a secret admirer. The color of a flower has the ability to alter or totally change the message you wish to communicate to the flower receiver. For example, giving your loved one pink flowers will communicate that you admire her femininity. White would highlight the receiver’s purity. Purple speaks of the high regard you hold your loved one in, and red represents romantic love and passion. Ralph Waldo Emerson exclaimed, “The earth laughs in flowers.” This lovely statement reminds us of the joy flowers can bring, and the simple power they possess to touch hearts and express sentiments. 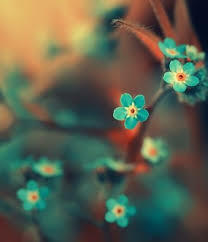 What is your favorite flower, and what color do you prefer? When was the last time you received a breathtaking bouquet of nature’s art? Share with us in the comments section below. This entry was posted in "out of the box" art, Art, Color, Colorful, colors, Communicate love, flower, Flowers, Flowers In Bloom and tagged beauty, carnations, communication, daffodils, daisies, flower, flowers, gift, lilies, love, luxury, orchids, Roses, strength, style class on April 1, 2015 by segmation. Do April showers bring May flowers where you live? In many parts of the world, especially the United States, this is true. In some areas, flowers spring up with little help. They create breathtaking scenery throughout nature. You can also create a distinct backdrop by planting flowers of your choosing. Flowers come in all shapes and sizes, literally. From sunflowers, which can grow beyond 12 feet tall to trailing calibrachoas, which are best hung, you will be able to choose the perfect flowers to make your scenery complete. There are no wrong flowers to pick when planning a garden, but there are some colorful choices Segmation is excited to see this season. Dahlias are dramatic flowers. Related to sunflowers and daisies, they are tall with full blooms. 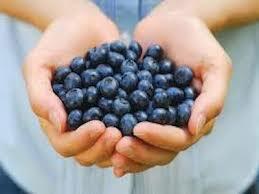 They can be seen in a multitude of bright colors (except blue) throughout the entire summer and into fall. These flowers are at home in Mexico, where they are the national flower. Clematis is actually a vine plant that reaches for the sun. With is roots planted deep in mulch and the support it needs for its delicate frame, clematis will climb, twist, curl and sprout new purple leaves. 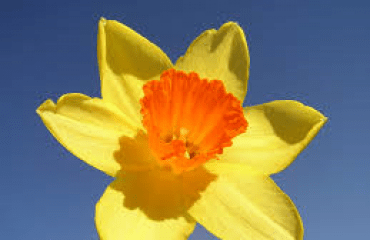 Daffodils are properly known as narcissus flowers. When they appear it is safe to say spring has sprung. In fact, from their appearance it looks like they want to announce it themselves. With their trumpet-esc bells, ruffling pedal collars and vibrant shades of yellow and orange, they are sure to catch everyone’s attention. Snapdragons bring afresh sense of color and fun to any garden. These flowers will develop into different bright shades as they take on the shape of a dragon’s mouth. This is why the flower properly known as an antirrhinum is now popularly known as snapdragons. 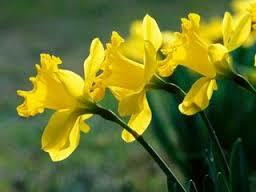 All this talk of flowers beckons the question: when will spring reach full bloom? It could be right around the corner or a ways off depending on where your live. But if you are craving the surrounding of plush flowers in full bloom, check local flower shows. Many cities, like San Diego, look forward to the upcoming floral exhibitions. Each year The San Diego Museum of Art hosts a fundraiser and flower show called, “Art Alive.” Unlike other flower shows, this year there will be over 100 “floral interpretations of famous artwork.” Also presented will be flowers inspired by the Spanish baroque architecture of the museum and its gardens. If you are in the area, this is going to be something you want to see with your own eyes. No matter where you live, this is the season where you will want to notice the natural beauty of flowers. Whether you plant them yourself or enjoy the ones that spring up, enjoy the sight while you can. Blink and you might miss it. This entry was posted in "out of the box" art, Art Alive, Flowers, Flowers In Bloom, San Diego, San Diego Museum of Art, Spring, Spring Flowers, springtime and tagged arts and crafts kits, clematis, colorful flowers, colors, crafting without tears, daffodils, dahlias, digital art, Doodle, flowers, Fresh Paint, FreshPaint, mess-free, mess-free ingredients, rare type of toy, snapdragons, spring crafts, spring flowers, spring time, springtime, stained-glass-made-easy on April 11, 2014 by segmation. Decorating with color can make a celebration come to life. This is especially true when it comes to weddings. Picking wedding colors is a process that needs close attention. Add a touch of charm to a black and white affair, and infuse your event with liveliness. For those who want their weddings to be full of colorful joy and personality, consider following these four simple steps. Do you have a favorite color? What about colors? These appealing shades may symbolize emotions (i.e. yellow = happy). Or, perhaps it is a shade that looks good with your skin tone and hair color. If you have trouble pinpointing the hues you love, take a look around. What colors do you decorate with? What does your cell phone case look like? What colors are repeated throughout your wardrobe? Your favorite colors are all around you. Take notice. Wedding venues either have lots of character or are blank canvases. 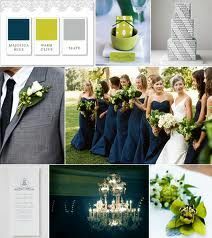 Nevertheless, it is important to recognize color pallets in the reception hall and ceremony spaces. Do you notice an established color pattern that you want to repeat? Is there a color that may clash with the theme you have in mind? Depending on the look of the venue or venues, this may have a strong influence on your color choice. Depending on the time of year your wedding takes place, you may have to consider seasonal colors. For instance, in fall, outdoor colors tend to be vibrant shades of red, orange and gold. Therefore, it may be wise to compliment these colors when planning your wedding. It will add charm to the occasion and fit the overall mood that nature sets. Once you acknowledge seasonal colors, it may be a good time to shop for flowers. Look for blooms that are relevant with the season. This adds to the ambiance and can save you money, as it is costly to import flowers that are not in season. Choosing a theme for your wedding is more involved than declaring your favorite color. Like all aspects of wedding planning, there is a lot to consider. By taking your location, date, flowers, and your favorite colors into account, arriving at your final decision should be easy. Ultimately, choose colors that compliment you and will delight your guests. This entry was posted in event decorations, favorite colors, wedding, wedding colors and tagged choosing wedding colors, favorite colors, flowers, paint by numbers, seasonal colors, Segmation, Wedding, Wedding colors, wedding dress on February 19, 2014 by segmation. These were the words of Juliet. She was justifying the feelings she had for Romeo while disagreeing with their feuding families. As she pealed back the thick layers of what kept them apart, she arrived at an honest analogy: a rose by any other name truly would smell as sweet. Fast forward four centuries, and the rose is still at the center of conversation. Except, now, it has been discovered that, while all roses smell sweet, roses of different colors communicate different messages. 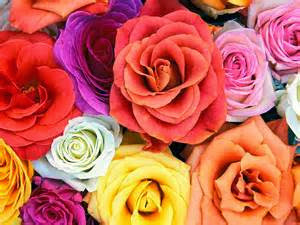 Recently, Reader’s Digest and proflowers.com got together to share the true meaning behind rose colors. They brought up five colors that may change your perception of roses. Or, at least the color you’ll buy your sweetheart, spouse, best friend, or sibling for Valentine’s Day. Red represents romance. More specifically, a red rose is known throughout the world as an expression of romantic love. Brighten up a friend’s day with a bouquet of yellow roses. People often think of sunshine when they see the color yellow. Just thinking about brightness can affect a person’s mood and bring joy to a dark moment. Do you believe in love at first sight? Lavender roses are great for young, flourishing relationships. The color is whimsical and has been known to represent royalty. Giving the gift of lavender roses can ensure the recipient feels respected and honored. If red is the most popular color for a Valentine, pink is a close second. Rather than romance, however, pink portrays sweetness. According to the experts at proflowers.com, there are two variations of pink roses that have different meanings. (1) Dark pink roses are symbolic of gratitude and appreciation, and are a traditional way to say thanks. (2) Light pink roses are associated with gentleness and admiration, and can also be used as an expression of sympathy. White roses are classic. In fact, they preceded the romanticism of red roses; at one time, these flowers represented true, romantic love. Now, they find a place in weddings, as many brides include white roses in their bouquets. William Shakespeare reminds us that a rose is a rose. But just because they share a sweet scent, doesn’t mean they are all the same. The color of a rose changes its meaning entirely and gives great variety to this beautiful flower. Segmation has a variety of rose artwork available. The only digital paint by number software allows you to experience every color rose. Click here to pick out your first rose pattern: http://www.segmation.com/products_pc_patternset_contents.asp?set=ROS. This entry was posted in Pink, Red, Roses, Valentine's, Valentine's Day, Valentines Day gifts, Yellow and tagged flowers, love, Meanings behind colors, romance, Rose Colors, Roses, Valentine's Day Flowers on February 5, 2014 by segmation.